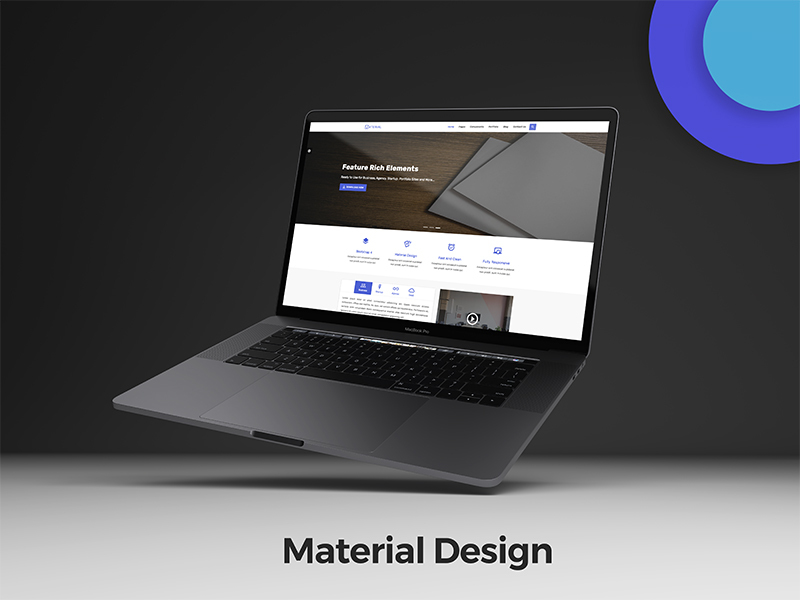 Material is Google’s Material Design Inspired Bootstrap 4 Multi-purpose UI Kit & Website Template, This UI Kit & Template Designed by Following Principles of Google’s Material Design Concept. Material is Best Suited for – Business, Agency, Corporate, Startup and Portfolio Websites. As it has been Designed by Following Material Design All Elements are Crafted Carefully to Provide Material Design Experience along with Elegant Look & Feel, Consists of the most revolutionary and innovative design philosophy due to the amalgamation of Bootstrap 4 and Material Design that promises an optimum UX experience. 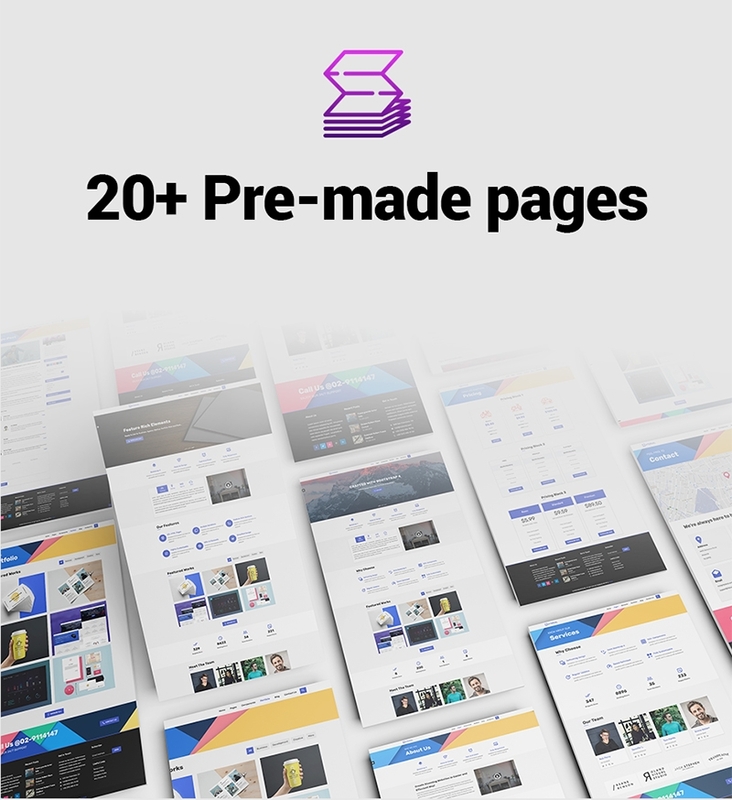 This Template Comes with 25+ Ready to Use Pages, 100+ UI Elements and 2 Unique Homepage Variations Which mean Enough to Build Almost any Type of Material Design Websites with Ease. Material Built using Cutting-edge Technologies and has been crafted Keeping in Mind the Next Generation Web Projects. 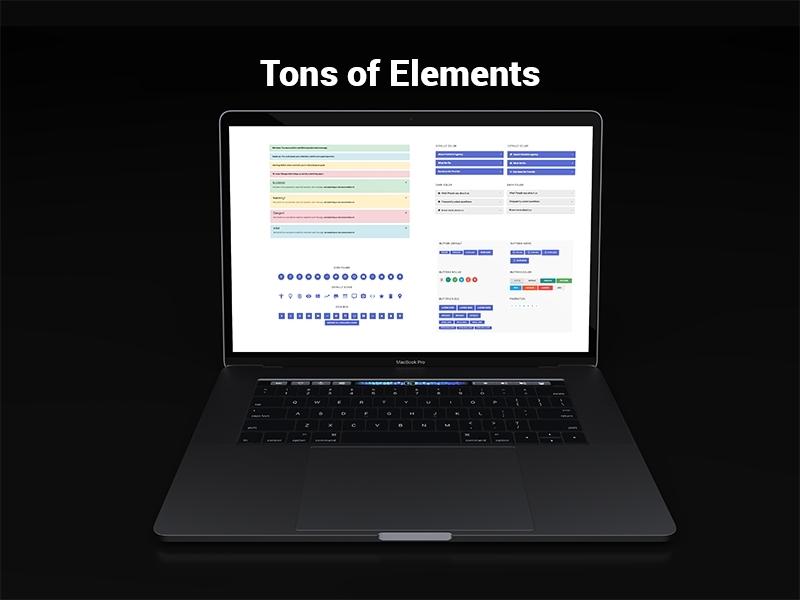 Additional Highlights Includes – Refreshing Design, Rich Typography, Documentation, Material Design, 100+ Elements/Short-codes and SASS files. 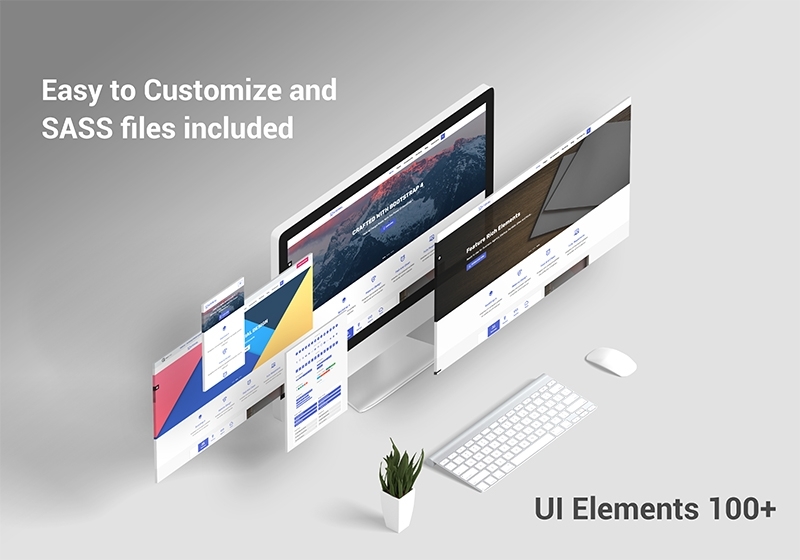 Moreover, ThisUI Kit & Template is Super Easy to Customize and Comes with SASS Files and Limitless Options to Personalize The Template to Meet Requirements (Developer Friendly). 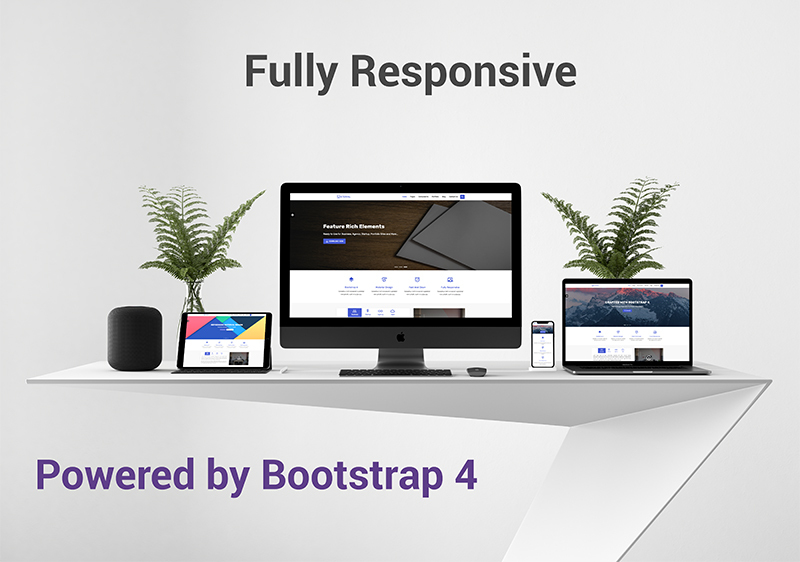 If you want Your Upcoming Web Project to be a Huge Success, This Material Design Bootstrap 4 Template is Ideal For You. Based on Bootstrap 4 and Superb Material Design UI. 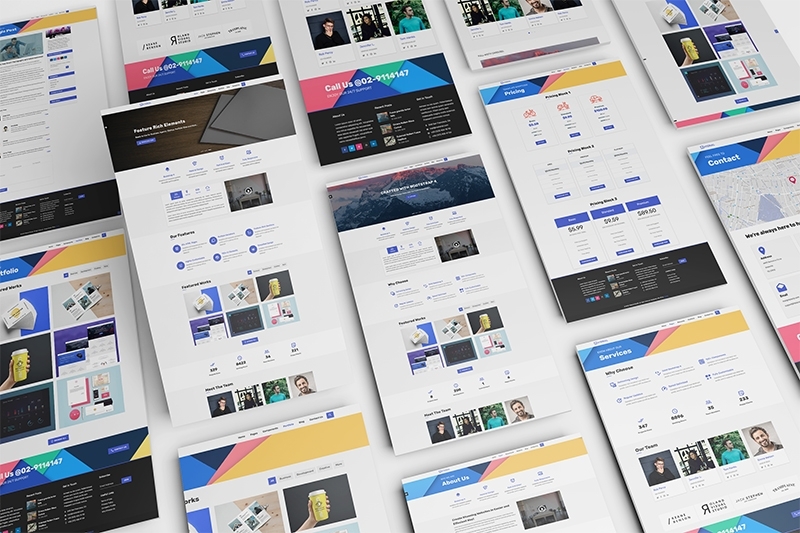 Fully Responsive UI Kit & Template with Powerful Features. 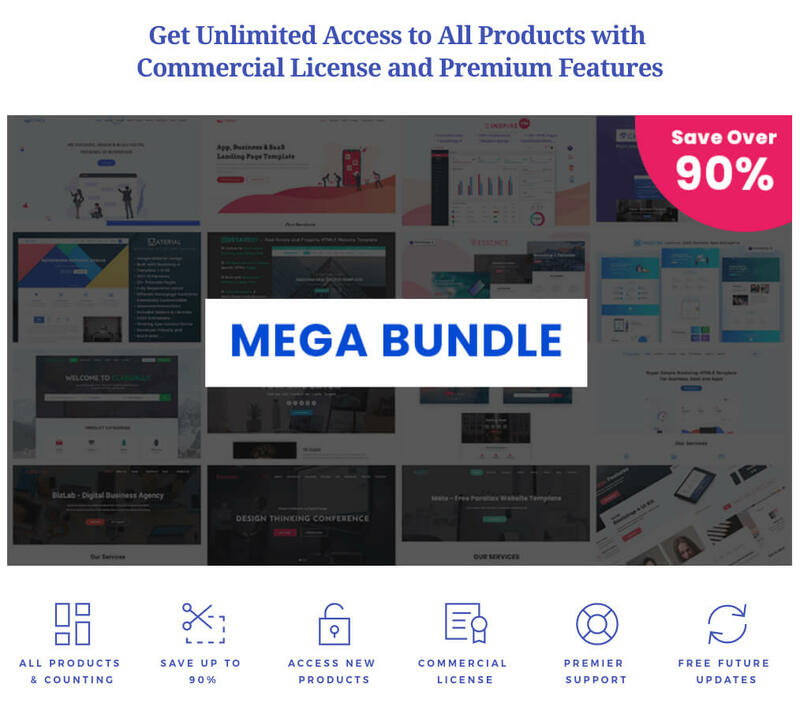 Customized plugins/add-ons that guarantee smart features and impressive interactions to the users.